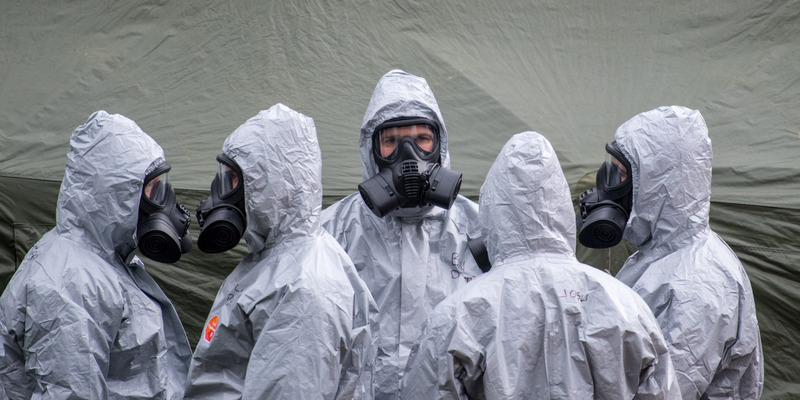 The nerve agent former Russian spy Sergei Skripal and his daughter Yulia were poisoned by was found in very high concentrations outside their front door, and authorities believe it may have been smeared on their door handle. The Skripals were exposed to the agent, and then carried it with them into their car and to a local restaurant. 130 people have reportedly been exposed to the agent, and the Skripals remain in critical condition. In response to the alleged Russian attacks, the UK, the US, and a host of other countries have expelled several Russian diplomats. Former Russian spy Sergei Skripal and his daughter Yulia were poisoned with nerve agent outside of his front door, police have said. In a statement released on Wednesday evening, Metropolitan Police investigating the case have said that the former Russian spy is believed to have come into contact with the lethal poison, called Novichok, outside of his house in Salisbury, England. It remains unclear exactly how they came into contact with them, or how it came to be there. The United Kingdom has blamed Russia for the chemical weapons attack, a charge Russia has denied. Britain’s international allies have rallied around it in recent days, expelling dozens of Russian diplomats from their postings around the world. According to the BBC, the highest concentration of the substance was found on the Skripals’ door handle, which may have been placed onto the handle using a viscous, sticky substance. This would explain why the agent was also discovered on their car and then followed them to the restaurant that police later cordoned off. The New York Times reports that are now focusing their investigative efforts on the Skripals’ home. There have previously been multiple theories swirling about how the Skripals were poisoned – including that the nerve agent had been hidden in Yulia Skripal’s luggage before she travelled back from Russia, that it was smeared on a car door, or that it was hidden in their food. More than 130 people have been exposed to the nerve agent, and Skripal and his daughter were found unconscious on a park bench in Salisbury earlier this month. Yulia and Sergei Skripal remain critically ill in comas in hospital. The US, the UK, and several other countries have expelled Russian diplomats this week over the attack. Russia has denied any responsibility.